Republican Brian Kemp has declared victory over Democrat Stacey Abrams in Georgia’s bitterly-fought gubernatorial race. But Abrams has not conceded and wants all provisional and absentee ballots counted first. 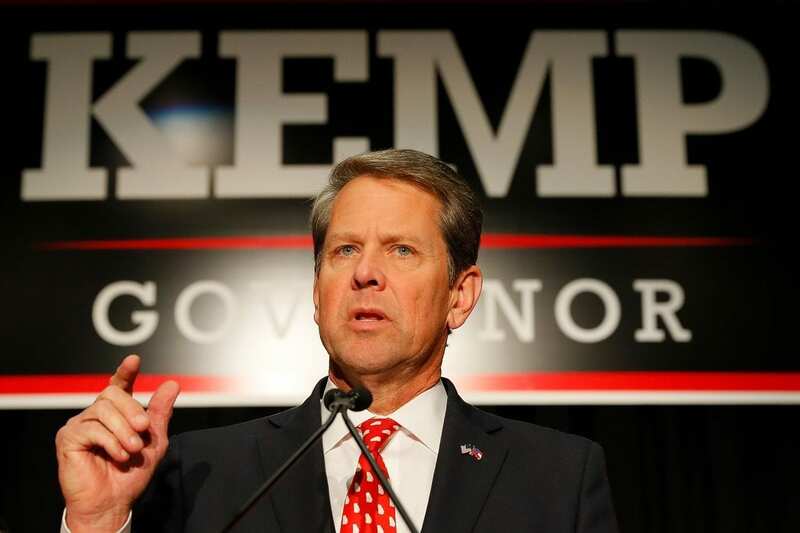 Kemp announced he would resign his post as secretary of state, effective at 11:59 a.m. Thursday after a lawsuit was filed calling it a conflict of interest for Kemp to oversee the vote count in a race he’s involved in. “We’ve won and now I’ve got to move on, but the process is true and has been for many, many years in Georgia. That’s another reason we’re going to have a new SOS that certifies elections to make that clear to Georgians that I understand that, so that they have confidence in the process,” said Kemp. The resignation comes months after Democrats first began to call on Kemp to step aside, arguing that he could not be the state’s top election official and run for governor at the same time. Kemp received just over 50 percent of the vote on Tuesday, and his campaign told reporters that their numbers show Abrams will not be able to beat him or trigger a recount. “This election is over. The votes have been counted. There’s a clear winner. Brian Kemp is the governor-elect in Georgia,” Kemp adviser Austin Chambers declared in a conference call with reporters. The campaign and the Secretary of State’s Office did not provide a more detailed breakdown of those numbers. The Abrams campaign says she will need 23,783 votes to get a recount in the race and points to 25,000 total outstanding ballots yet to be counted. Her campaign manager Lauren Groh-Wargo says that by declaring victory, Kemp is abusing his power as secretary of state. “If this is not a breach of public trust … I don’t know what the definition of that is,” said Groh-Wargo. Prominent Georgia Republicans like U.S. Sen. David Perdue were quick to offer their congratulations to Kemp. County officials have until next Tuesday to certify their results. Statewide certification must come by Nov. 20. The distinction between Kemp’s campaign and his former office became increasingly blurry, injecting doubt into the election process. On Sunday, the Secretary of State’s Office announced it was investigating the Democratic Party of Georgia for allegedly attempting to hack the state’s voter registration system. Kemp’s office has not provided clear evidence of an attempted hack. After an apparent vulnerability was revealed in the state’s voter registration system, Kemp’s office denied it. But ProPublica found Georgia officials quietly rewrote code on the state’s website after being informed of the security flaw.